A good argument for eating ecologically grown fruits and vegetables is obviously the health benefits associated – you don´t get the toxic chemicals from pesticides and the nutrient levels have often proved to be higher in ecological food. 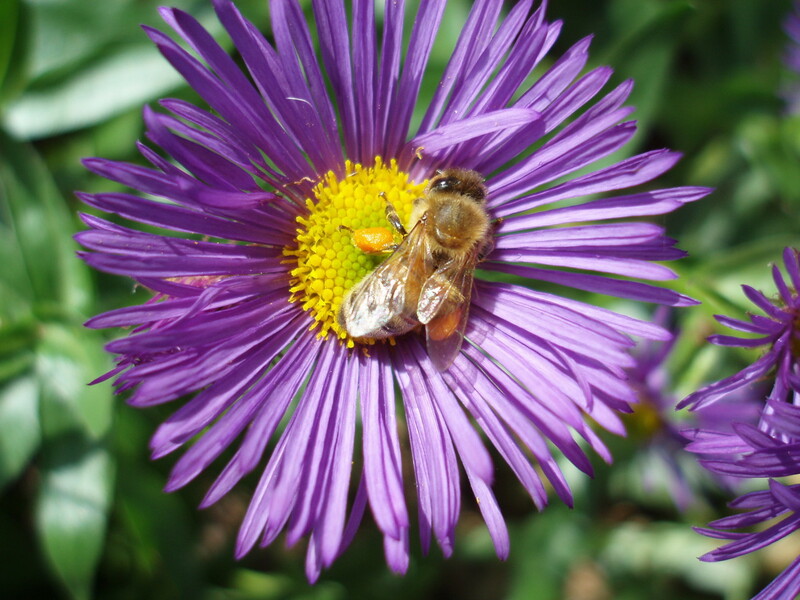 The ecological choice also benefits honey bees that pollinate plants. Over the recent years bee-keepers all over the world have noticed that honey bees were dying and had no idea why. Since honey bees are playing a crucial part in the food industry (approximately one third of what we eat is pollinated by honey bees), researchers have been trying to find an answer to the death of our hard working honey bees. A recent research shows that their death is most likely to be caused by a combination of the negative effects of pesticides, viruses, parasites and flowerless landscapes that kill off the world´s honey bee populations. By always opting for the ecological option, we, as consumers, can insure honey bees’ prosperity and therefore a continued production of honey, fruits and vegetables. Another way to help your local honey bees is to start growing flowers in your back garden or balcony which will provide bees with nectar and pollen.